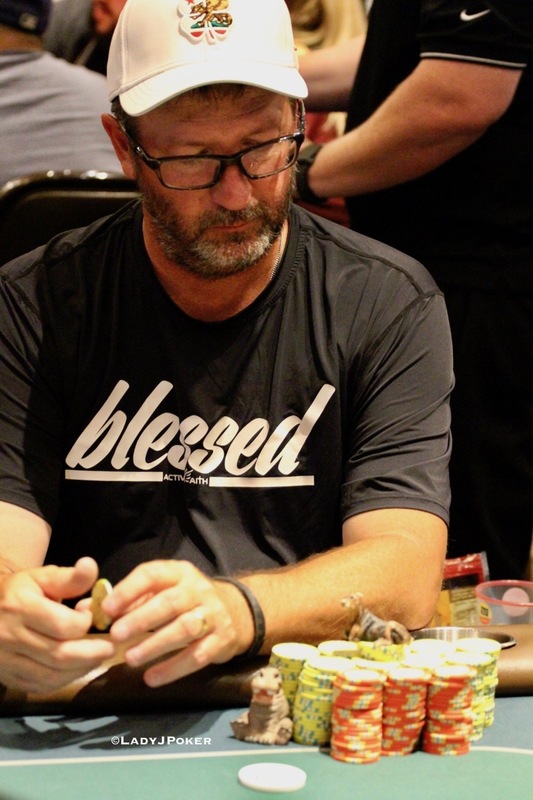 In a hand against Zack Whitney right before the bubble, Darren Hicks takes down a 150K pot. Hicks - currently listed in 61st place on the Colorado all-time money list per Hendon Mob - raises preflop UTG to 25,000 and gets a call from Whitney in the small blind. Whitney checks, Hicks bets out 40,000 and Whitney calls. Whitney, with 170K remaining, checks and Hicks shoves for about 250,000. Whitney folds and Hicks takes the pot, sitting comfortably at 490,000. The bubble burst while this hand was being written ... Hicks, Whitney and the rest of the field are in the money.